To claim this profile, please confirm you are Lidianna Reyes. To follow this profile, please let us know your relationship to Lidianna Reyes. 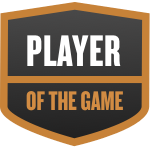 Lidianna was selected the Player of the Game in the basketball game against Bridge City on Tue, Feb 05 2019. Congratulations to #24 Lidianna Reyes for being selected the Lumberton Girls Basketball Player of the Game. Lidianna was tagged in the video "Game Highlights vs Bridge City ." Lidianna's basketball stats have been updated for the loss vs. Bridge City. RESULTLoss Girls varsity basketball vs. Bridge City. The Lumberton varsity basketball team lost Tuesday's home conference game against Bridge City (TX) by a score of 62-59. RESULTLoss Girls varsity basketball @ LCMHS. The Lumberton varsity basketball team lost Tuesday's away conference game against Little Cypress-Mauriceville (Orange, TX) by a score of 70-52. RESULTLoss Girls varsity basketball vs. Hardin-Jefferson. The Lumberton varsity basketball team lost Friday's home conference game against Hardin-Jefferson (Sour Lake, TX) by a score of 63-50. RESULTWin Girls varsity basketball @ Hamshire-Fannett. The Lumberton varsity basketball team won Tuesday's away conference game against Hamshire-Fannett (Hamshire, TX) by a score of 84-46. RESULTLoss Girls varsity basketball vs. Silsbee. The Lumberton varsity basketball team lost Friday's home conference game against Silsbee (TX) by a score of 84-62. Lidianna's basketball stats have been updated for the win @ West Orange-Stark. RESULTWin Girls varsity basketball @ West Orange-Stark. The Lumberton varsity basketball team won Tuesday's away conference game against West Orange-Stark (Orange, TX) by a score of 48-36. RESULTLoss Girls varsity basketball @ Bridge City. The Lumberton varsity basketball team lost Friday's away conference game against Bridge City (TX) by a score of 51-48. RESULTLoss Girls varsity basketball vs. Vidor. The Lumberton varsity basketball team lost Tuesday's home non-conference game against Vidor (TX) by a score of 63-62. RESULTLoss Girls varsity basketball vs. LCMHS. The Lumberton varsity basketball team lost Friday's home conference game against Little Cypress-Mauriceville (Orange, TX) by a score of 56-48. The Lumberton varsity basketball team lost Friday's neutral tournament game against Port Arthur Memorial (Port Arthur, TX) by a score of 61-50. Lidianna's basketball stats have been updated for the loss vs. Fort Bend Kempner. RESULTLoss Girls varsity basketball vs. Fort Bend Kempner. The Lumberton varsity basketball team lost Friday's neutral tournament game against Fort Bend Kempner (Sugar Land, TX) by a score of 60-44. Lidianna's basketball stats have been updated for the win vs. Clear Brook. RESULTWin Girls varsity basketball vs. Clear Brook. The Lumberton varsity basketball team won Thursday's neutral tournament game against Clear Brook (Friendswood, TX) by a score of 53-43. RESULTLoss Girls varsity basketball vs. College Park. The Lumberton varsity basketball team lost Thursday's neutral tournament game against College Park (The Woodlands, TX) by a score of 53-46.